Our heroine returns, this time she proudly stands with one foot resting on her kill. This piece is in two parts with the figure being the first and the sculpted base with the dead guy being the second. 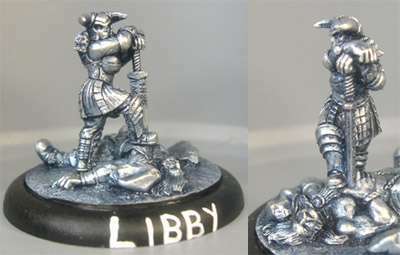 The sculpted base sits inside a 50mm diameter 'Warmachine type' figure base (supplied).